It’s August 2016, and the second day of Dimensions Festival in Pula, Croatia. Auntie Flo is spinning at the Highlife beach party at the event, a day after the Glasgow club-night and record label presented a boat-party showcasing their sound of afro-futurism on the Adriatic Sea. Just off shore, yachts rock gently in the clear blue sea in front of the sun, which is slowly setting on the horizon. When Auntie Flo started mid-afternoon, punters lazed by the seafront in ear-shot of the stage but, as he works into more floor-focused sounds from across the world, the beach is rapidly filling to capacity. 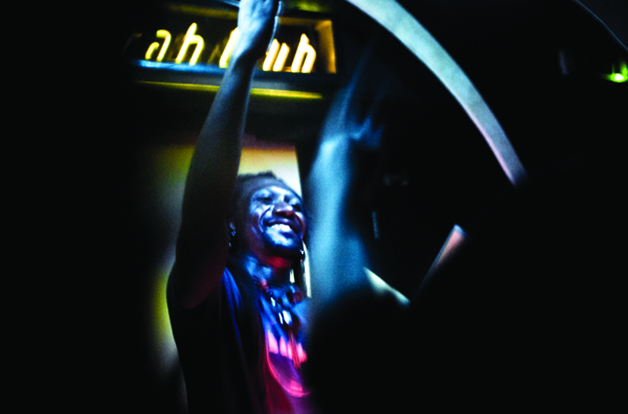 It’s almost 12 months since Highlife celebrated its fifth birthday, with a history as part of a wider family of labels and nights all pushing a similar agenda during a time the zeitgeist has shifted towards electronic music from continents like Africa and South America. And while the likes of Cómeme, Studio Barnhus and Awesome Tapes from Africa all play, produce and release music with synergy to the Highlife brand, 2016 has also seen a surge in interest from artists outside their sphere. Selectors as wide-ranging as Ivan Smagghe, Solomun, Ben UFO, Âme and Dixon have all made music from the label a regular fixture in their sets through last summer, whilst Pete Tong made The Revenge’s remix of Auntie Flo’s ‘Waiting For A (Woman)’ his secret weapon of the summer. 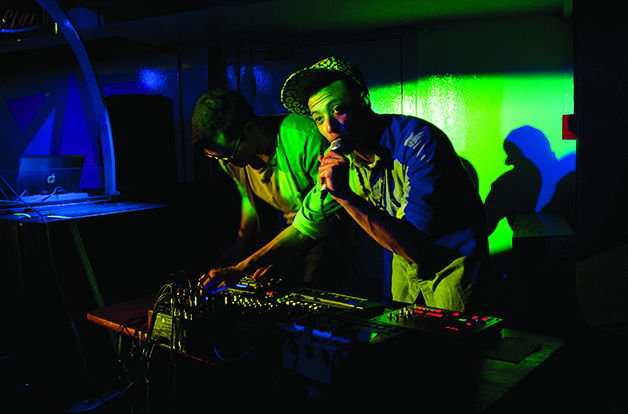 Inspired by Cómeme’s BumBumBox street parties — where Chilean label-owner Matias Aguayo would set up a boom box in the street in South America and play afro-centric music at impromptu events — d’Souza and Thomson would host the first Highlife in 2010 at Glasgow’s Stereo, inviting Mexican-born producer Rebodello to play alongside Capracara, with Auntie Flo and Thomson as residents. 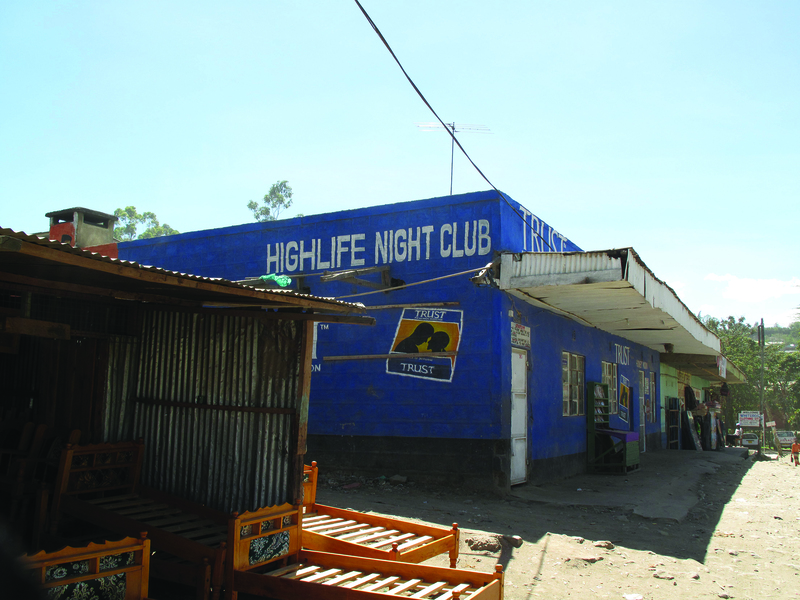 The first party was busy, but d’Souza says it was a few months later when Highlife did two events in quick succession that signalled the real turning point for the night. 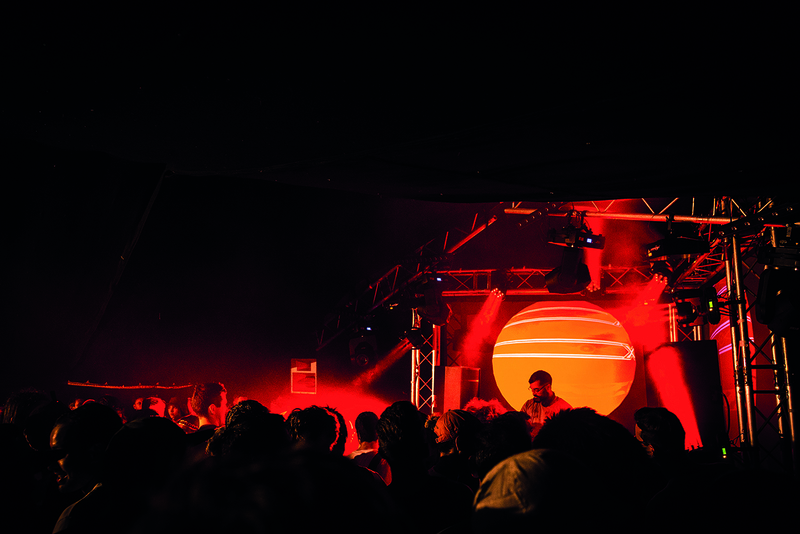 Highlife would then invite Chilean Alejandro Paz to play during the summer, with the show becoming the first of their Sun Ritual parties, which Highlife would later take on a sold-out tour to locations including the Arctic Circle. “It started out quite tongue-in-cheek,” d’Souza laughs. “Obviously there’s hardly any sunshine in Glasgow, so we decided to do a party where we would forget about that and celebrate it.” Highlife hired in huge lighting rigs for the show, controlled by the DJ during their set, and gave out sunglasses to all attendees. 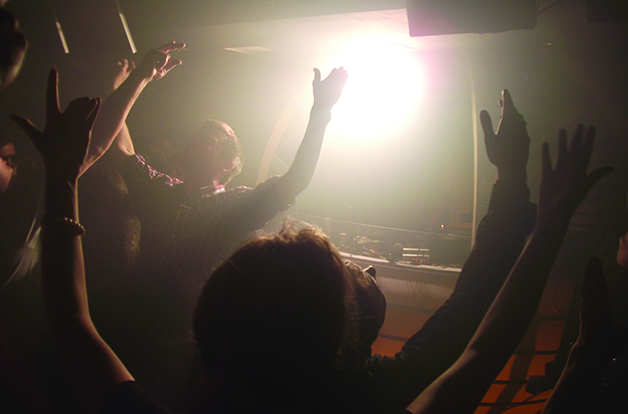 Shortly after, Highlife were offered a monthly residency at Sub Club, rapidly establishing itself as a club-night not afraid to take risks. Despite their afro-centric roots, the party has welcomed Shackleton, Actress and SOPHIE to events that have gone down in Highlife folklore. When Cómeme label-head Matias Aguayo played Highlife in 2012, the speakers ignited into flames during his set, but d’Souza says his highlight came when mysterious Mumbai producer Chanjarit Singh played for Highlife in the same year. It was shortly after his ‘Ten Ragas To A Disco Beat’ album had been re-released — and seen huge interest from the western world. The show was only the third time Singh had played the album live in Europe, and embodied Highlife’s exploration into music from around the world perfectly. Brian d’Souza says he’s always surprised by the music he finds when travelling to the far stretches of the world. When he travelled to Cuba, he synced up with the Laboratory Musica Nacional Electroacousic (LMNA) – who look after electronic music producers in the country. There he held an Ableton workshop alongside Williams. “We pitched it at beginner level,” d’Souza explains. “But the questions they came back with, we just couldn’t answer,” he laughs. This year Highlife has established itself in its new home of The Art School, and exists in a very different world musically to when it started out six years ago. “In 2010 the Highlife concept might have sounded like it wouldn’t work,” Thomson explains. “But now we’re definitely part of a bigger movement of people, playing and releasing music from around the world that makes sense in a contemporary club environment. Want more? Check out the premiere of Austin Ato’s summery piano bombshell 'Music Will Save The Day'.